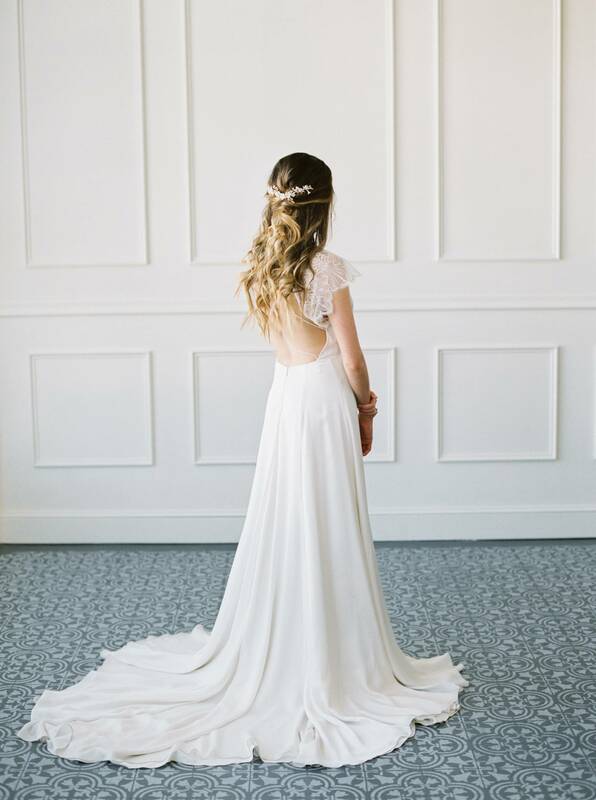 The finishing touch to your wedding day outfit is often a beautiful veil or headpiece. We're delighted to showcase the stunning new designs by Bridal accessories designer ALL ABOUT ROMANCE from her "Springtime in Paris" collection. 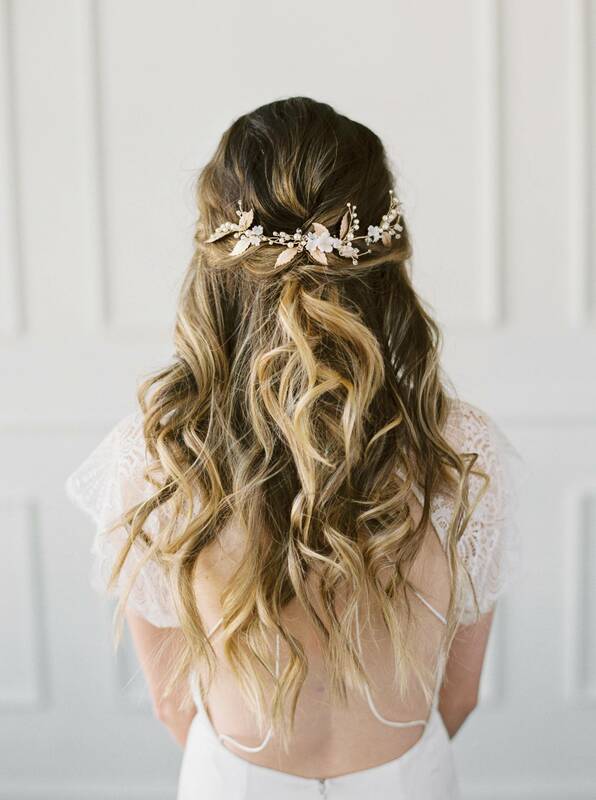 Captured by BETSY BLUE PHOTOGRAPHY it features intricate and delicate hair combs, and headpieces which are perfect for the modern and feminine bride. 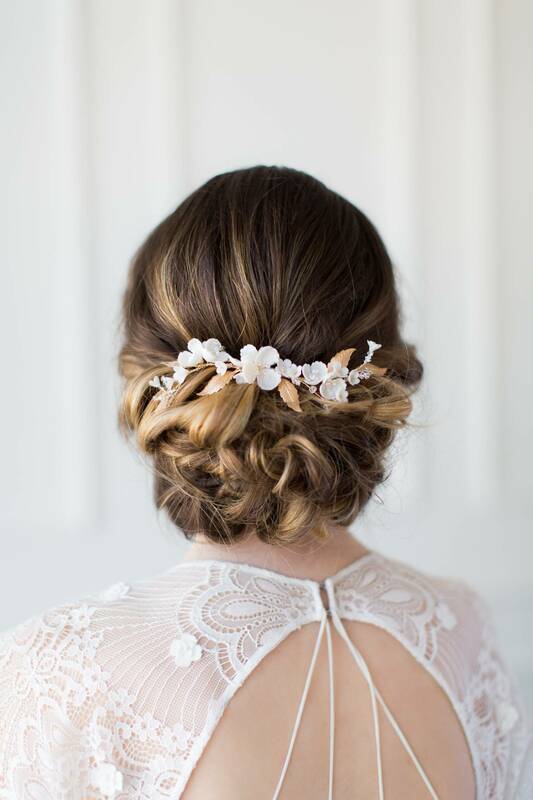 With gorgeous hair & make-up by CASSANDRA KENNEDY and gowns from our favourite ALEXANDRA GRECCO, the results are nothing short of bridal perfection! The inspiration behind this series was taken from time spent in Paris. Just a week in the springtime soaking up the sights and sounds, surrounded by overwhelmingly glorious architecture and breathing in delicate floral scents from one of the most incredible palace gardens I was ever able to visit. Morning walks through parks alongside the Avenue des Champs-Élysées, morning air crisp and damp and later the heady scent of roses in full bloom that could just carry you away. These memories stay with you forever and will forever influence my work." A big thank you to Bridal accessories designer ALL ABOUT ROMANCE for sharing her latest collection with us. ALL ABOUT ROMANCE is a small design studio based in Australia with a passion for creating exquisite and delicate artworks. From couture wedding veils to bridal adornments and accessories that will be treasured by brides for years to come. "Our designs are inspired by nature with a decidedly feminine flair for the modern bride who is romantic at heart. We meticulously construct our pieces using the finest materials sourced from UK and Europe with an obsession for handcrafting in the traditional way." ALL ABOUT ROMANCE are a valued member of our vendor guide. Such beautiful accessories! Your work is so inspiring Kylie!